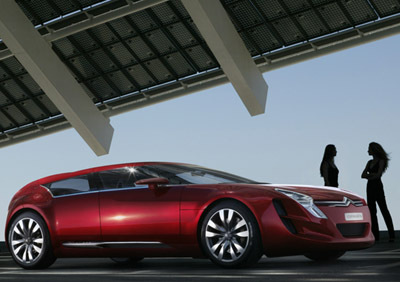 The Citroen C-Metisse is a 4-door, 4-seat, coupe concept which went on display at the 2006 Paris Motor Show. The Citroen C-Metisse (Mongrel in French) is constructed from lightweight carbon fibre, and powered by a 208 horsepower diesel V6 driving the front wheels, with two 20 horsepower, 300 lb/ft of torque electric motors turning the rears. 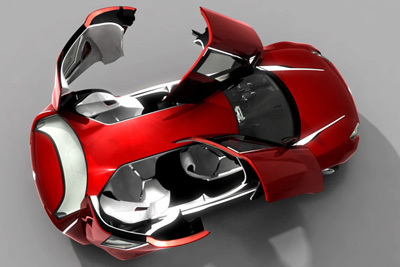 At low speeds the car can operate solely on electric power resulting in zero emissions. 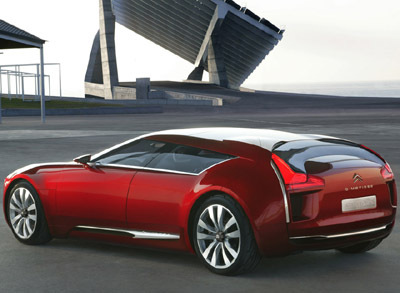 Yet despite the economic hybrid powertrain the C-Metisse reaches 60 mph in just 6.2 seconds. 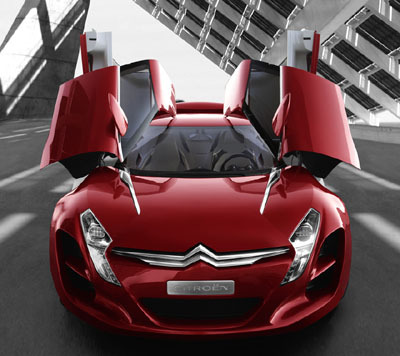 The Outrageous exterior design of the Citroen C-Metisse is styled to create a sense of power, intimidation and respect, while also providing an aerodynamic form for improved fuel economy. 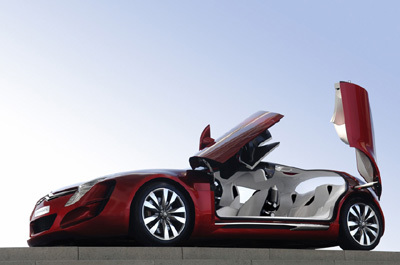 Inside the C-Metisse concept Citroen's designers have gone just as wild. The four individual seats swathed in white leather are accessed by dramatic upward swinging doors which are not only impressive in appearance but also provide an easy entry. The C-Metisse's steering wheel has all the main comfort functions and driving aids (radio, speed limiter, onboard computer, lighting, indicators and windscreen wiper) positioned within easy reach. Combined with the steering-wheel mounted gear paddles the driver hardly need move their hands from the wheel. The roof console of the Citroen C-Metisse concept features a 'contact' and 'start' button giving the sensation of being in a fighter jet.